Why now? 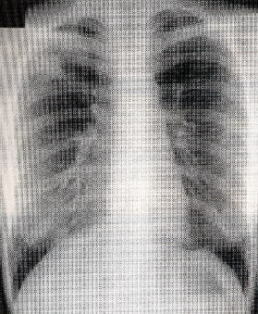 Tuberculosis (abbreviated as TB for tubercle bacillus) infected millions of people around the world. Wake up and face the reality. We thought that tuberculosis was a sickness of the past. However, after reading the latest medical information, we realized that it is still existing and spreading all over the world killing millions of people. Moreover, the infection is spreading among young people, and "drug-resistant bacteria" are born—a new danger in modern world. Why now that symptoms of tuberculosis are reappearing? Is it hidden tuberculosis? Tuberculosis of today seems to be like that of hidden diabetes. Also see article "Hidden Diabetes May Result of Sudden Heart Attack—Simple Medical Test Cannot Detect". Let's take a case of an old lady who has been diagnosed with tuberculosis recently. She had never suffered from any serious infection related to the disease especially from tuberculosis at the age of 75. She has no idea how the infection got in. A local health care group conducted the investigation and found that she may have contacted tuberculosis bacillus from her two neighboring close friends who have been suffering from the disease. However, a close examination shows that her tuberculosis is not infected with the bacillus but a sort of dormant state. We have learned that there are many tuberculosis-infected people who never realized that they were infected with tuberculosis because they never felt sick. It is because the symptoms of the lung disease did not surface but it's on the state of sleep, meaning that the bacillus is neither inflammatory nor destroying the lung tissues. Once the lung formation is destroyed by the bacillus, the damaged lung will be irreversible. Simple cough or common cold and hemoptysis (coughing up blood) are also caused by tuberculosis. However, many such cases are healed by itself without knowing. There are millions of people who never imagined that they contracted such lung disease until they undergo clinical examinations forced by their companies, offices, and other works or communities. Also, you must realize that there are various kinds of lung bacillus that cannot be treated by today's medicines. The main reason of it is not caused by bacillus alone but also due to negative energy. If clinical examination does not show any bacillus present on tuberculosis patients, then it is almost sure that the patients are affected by the negative energy. Who are at risk of contracting tuberculosis? People with kidney problems have a 10-25% higher risk of contracting tuberculosis. Next are those who have symptoms of diabetes and gastric ulcer, followed by those who use various kinds of medicines such as for rheumatism, cough, and cold. However, the most at risk of contracting tuberculosis are those suffering from stress related to overwork, mental fatigue, and diet. In order to prevent occurrence of tuberculosis, nutrition, recreation, exercise, and healthy daily life is important. Young people in the cities are more likely to spread the risk of infection. Environment in rural areas is preferable to eliminate tuberculosis from crowded society. PYRO-ENERGEN does not eliminate and kill bacillus, but the machine can help improve your body strength and speed up the recovery of tuberculosis. 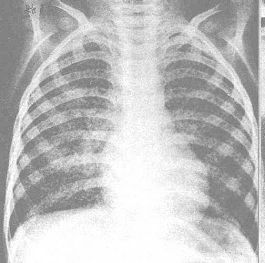 If the cultivation test of tubercle bacillus from the sputum is negative, yet X-ray examination shows positive tuberculosis, then PYRO-ENERGEN is the 100% answer for the treatment. PYRO-ENERGEN treatment provides a superior solution to a wide variety of diseases today!